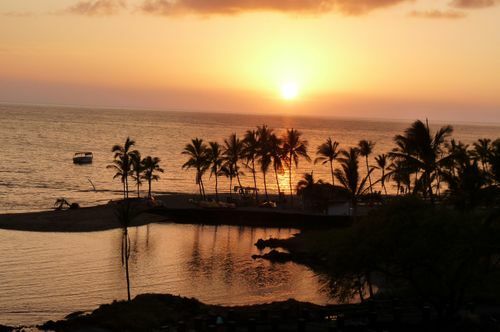 Is a Destination Wedding in your future? 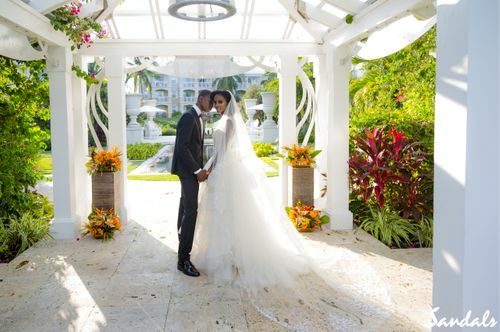 A Destination Wedding could actually save you money and stress and who doesn’t want to sit back and enjoy their ceremony and reception, knowing it will all be flawless? 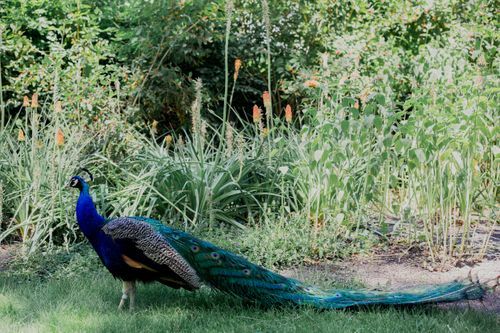 Why Should You Drop Your To-Do-List and Glittery Craft and Get Married in Paris, Care-Free? Okay, maybe that’s a little dramatic… maybe not Paris! But seriously. What is your favorite place in the world? 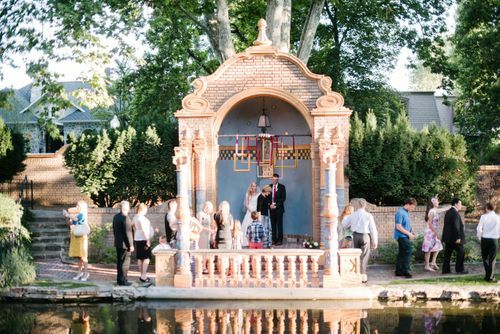 A place that your childhood self would swoon over getting married at while she played dolls and dreamed of her fairytale wedding? Do her a favor and do it! Drop everything, drop the stress, and do it! But really, I am not pulling your leg. Whether you’re doing a destination cruise or running away to a resort with your closest loved ones, there are people seriously made for your peace of mind through this… Wedding Planners! Most Wedding Planners will travel for your date. 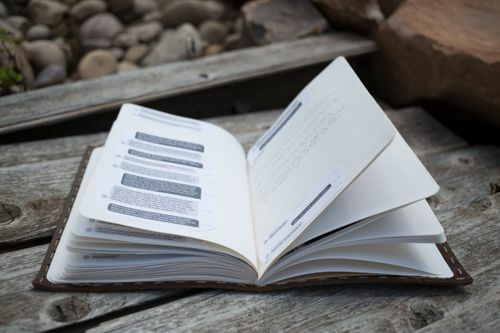 There are even Planners that permanently work at your dream spot. The right floral arrangements can add a special flare to the décor of your event. Deciding on the right floral arrangements for your big day is one of the main checks off your planning list. The process of choosing the right floral designs can depend on your budget, color scheme or theme, the season, and your unique style. 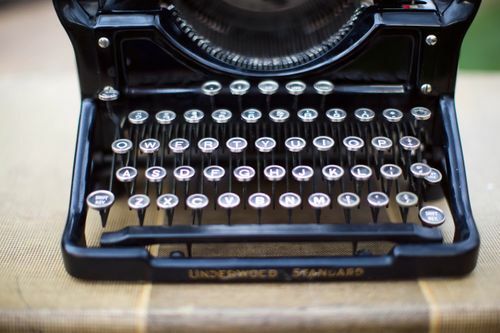 A budget can seem very confining when your Pinterest board dreams are bigger than your wallet. However, a set budget can help determine which floral pieces you will want to focus your funds on. You will have bouquets, boutonnieres, center pieces, and other floral accent arrangements that you will need to prioritize. If you have a particular arrangement in mind, but it is out of your price range, you should work with your florist to see if there is a more cost effective flower choice that will still achieve your desired look. How do you know for sure that the man you are about to marry is “the one”? Personally, I don’t believe in “the one”. There are simply too many crazy circumstances in this world for that to make any sense. This post is inspired by the wonderful love guru Matthew Hussey, I’ll post his website link below. He’s recently become a new favorite of mine. What Matthew determines as “the one” is finding someone with the qualities we are looking for, who also happens to be at a stage in their life where they are ready to commit to a serious relationship. We are not trying to find one person in the world, instead we are trying to determine if the person we are with has the potential to be the one we should choose. So, if you’re someone still searching for the one, or if you’re a soon-to-be-bride avoiding cold feet -- find reassurance by asking yourself these five questions to determine if he is the one for you! #1 Do you want to jump him? Everyone will have that time soon after getting engaged when someone sees you and says “When’s the big day?!”. Though you might have dreamed of your fairy tale wedding from the time you could read, this will still be one of the biggest decisions to come along with your wedding planning. The date will set the theme, style and most likely the cost of your wedding. Here are a few tips to help you and your future spouse decide what time of year is best for you. One of the first orders of business that you have to decide when planning your wedding is how many people are you going to invite. How big does your venue need to be? How much food will you have to order? How many chairs and tables will you need? What amount of favors needs to be ordered? Before you can answer any of these questions, you need to decide which people you want to be a part of your special day. 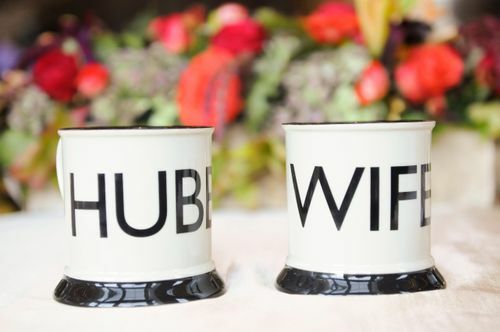 Big and small weddings each have their own pros and cons. To each person, these different pros and cons may hold different weights of importance. When deciding whether or not to make your wedding big or small, here are a few pros and cons to help you choose! You're Engaged! Now who pays for what? As a wedding planner, one of the most frequent questions I get asked is who should pay for what. Some people think the responsibility falls completely on the bride. Others argue that the bride and groom should pay for a wedding themselves. With the traditional rules constantly changing, I wanted to help out the modern bride and groom to know who is expected to pay for what! The old rules lay out that the bride’s family determine the size and style of the wedding and reception and carry the full responsibility of paying. The groom’s family may pitch in to make the wedding bigger, but most of costs come out of the bride’s parent’s pockets. Today, the rules have changed a bit and allow for a more flexible division of costs. 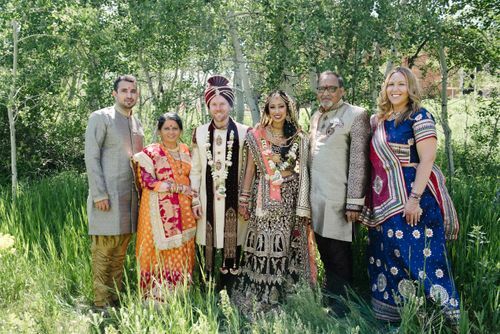 Both families can contribute to the total expenses and work together with the bride and groom to pay for the wedding. Ages of couples getting married is rising which allows the brides and grooms to pay for more or all of their wedding. Read the fine print though, these rules only apply for first weddings. Your ceremony backdrop can be an amazing focal point for your ceremony and can make for some pretty amazing photos. At Hoopes Events, we specialize in making your wedding unforgettable. We have many beautiful backdrops to choose from. Draping and florals add a soft elegant feel. When choosing your ceremony backdrop, take into consideration your surroundings and how much space you have to work with. Match the look and feel of your backdrop to the look and feel that you want for your reception. 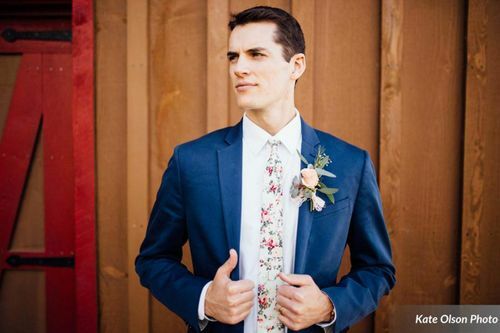 “I’ve found my perfect guy, but I still need my girls by my side.” Some of the most frequent questions I am asked as a wedding planner are regarding the wedding line. 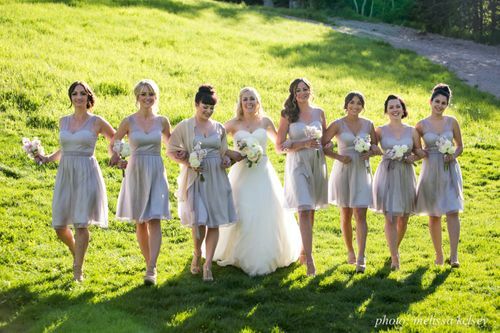 “How many bridesmaids and groomsmen should I have?” “Should they all wear the same thing?” “How should I ask them to be part of the line?” “Do they need to be part of the receiving line?” The list goes on and on … and for good reason. 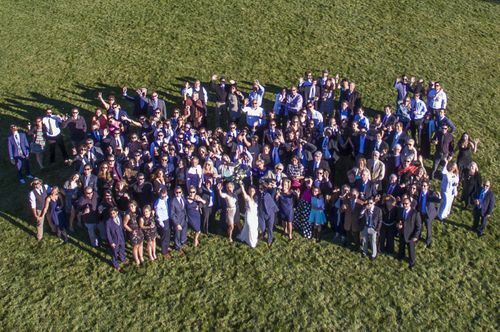 The people you choose to be a part of your line will be in every wedding day picture. Feelings have the potential of getting hurt as they always do when relationships are involved. Every bride has to decide on her color scheme, and this year we are seeing a minimalist side of brides that we love. This year's big color is Sage. A light green decorated with a light color palette is the trend that so many brides are going for. It also looks good on just about everyone, even your pasty grandmother. This palette demands a lot of greenery to tie in the look. Look out Blush Pink, because Sage Green is able to give you a run for your money. Whether it’s window frames, edison lights or planter pots, we are loving this year's trend of more hanging things. Not only can we decorate the tables, but the empty space above them. It makes such a difference in really any wedding and the possibilities are endless. We especially love the softness of the hanging edison lights. We are lighting our way through 2017! 3. Embracing Copper, Rose Gold, Pewter, Silver, & Gold. Should I have a DJ, band, or solo musician for my reception? While some overly-organized brides can get by without a wedding planner for the pre-wedding business, it is still always vital to have one on-site the day of the wedding. 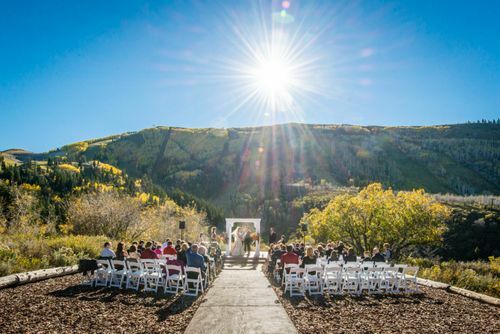 Even if the venue offers an event coordinator, it’s important to hire an outside wedding coordinator. 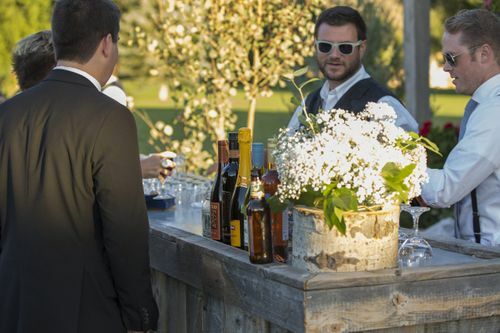 These event coordinators are often only there so they can make sure everything runs smoothly for the event center, not necessarily for the bride’s wedding. And when those inevitable hiccups eventually arise, no bride wants to be the one having to handle it. I believe that no wedding can occur without at least one thing going wrong. That is the nature of the event, with so many moving pieces and unreliable people. Having a wedding coordinator you know you can rely on is imperative so that when an issue comes up, he or she can handle it. That way when a problem does come up, it is solved before the bride even notices a problem happened. 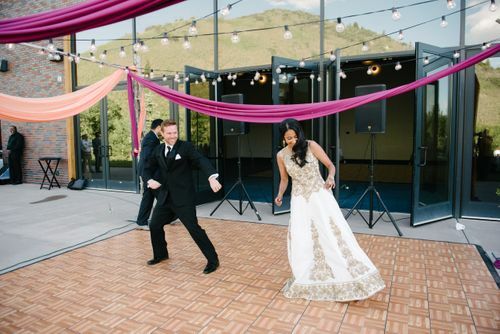 It’s not uncommon for a couple to say: “We’re having our wedding outside during the summer in Utah so the weather should be perfect, right?” We’ve heard the same thing being said for Quinceaneras, corporate events, birthday parties or any other type of an event. Utah is a mountainous state and it’s likely that there could be a sudden rain storm, extreme wind, etc. on your perfectly planned day. 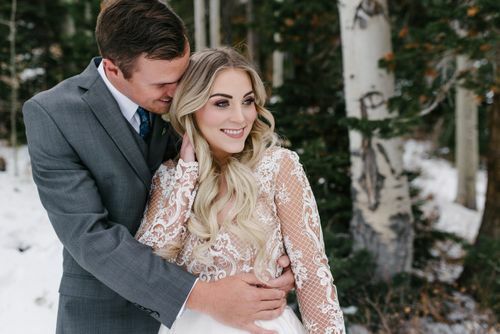 Or maybe you are one of the brave people who are having an outdoor ceremony or outdoor photos during the winter in Utah. How do you save your event if a storm comes through? Do you want a wedding ceremony without a specific religious influence? It’s your day and you deserve to have the wedding ceremony that you want. So how do you feel completely comfortable with the ceremony and the officiant? 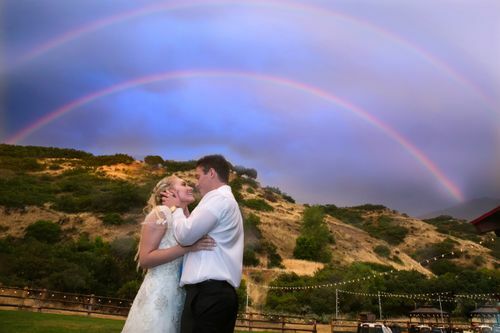 Hoopes Events can recommend denominational, nondenominational and secular wedding officiants. 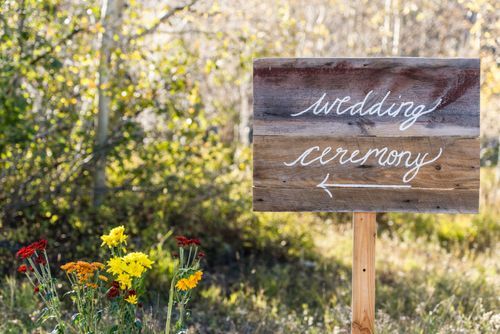 Meeting with your officiant beforehand and discussing what direction you want the ceremony to take is extremely important, and it will help you achieve the best outcome. 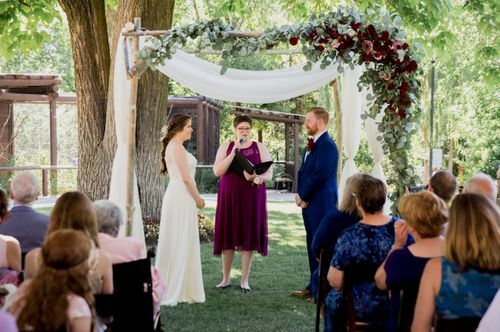 Get some ideas with this article from The Knot, which provides different scripts you can use as a starting point to discuss your ceremony with your officiant. Alcohol can make your wedding a lot of fun but it can also make your wedding extremely costly. This article has a lot of great money saving tips if you want to include drinks without breaking the bank. In addition to the advice in this article, there is another way to save money on alcohol. There are certain venues that will allow you to bring in your own alcohol if you have a licensed bartender serving the alcohol. 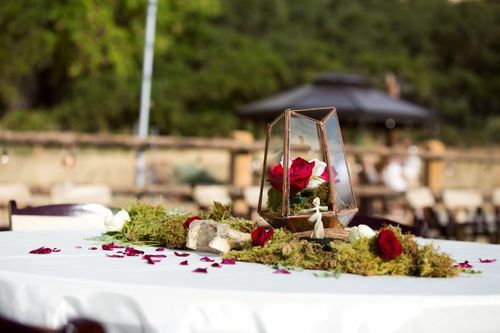 A wedding planner can help you navigate the ins and outs and look for ways to help save you money in the long run. Your planner can also help you know where to budget your money so that you have the experience that you want on your very important day. View Borrowed and Blue (now Zola) for more inspiration. What time of day should you have your reception? “Maid of Honor” can be a tricky title. While some brides are very forthcoming about the responsibilities they hope their bestie will handle, others are too afraid to ask. It is up to the Maid of Honor to be proactive about how to help her over-stressed bride. 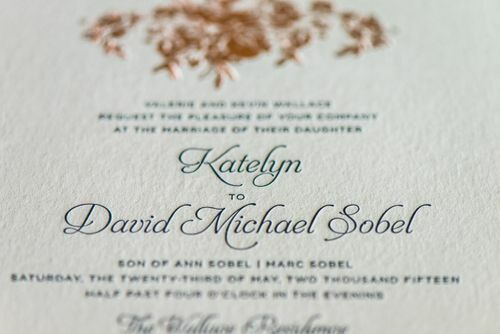 There are two main parts to every Maid of Honor’s role: The first is to help handle all of those pre-wedding tasks; the second (and possibly most important) is to be an emotional support for the bride. Face it—most of us were not blessed with one solid group of friends that stuck by our side from kindergarten through college. As much as we all loved “The Sisterhood of the Travelling Pants,” that’s just not often reality. No, reality is having everything from childhood buddies that never fade, to different cliques we flitted around with in high school, and college roommates who have seen us through the good and bad. If that’s not the case, then it’s more than likely true for the groom. The question is then: how do brides choose a wedding party without offending one of these various groups? Well, there is no easy answer—but there are some tips and tricks that can make this selection process a lot less likely to turn into The Hunger Games. Not only do you need a wedding planner, you deserve one. As an event planner myself, I know how overwhelmingly, unbelievably stressful planning a wedding can be. You are getting ready to make the biggest commitment of your life and shouldn’t have to worry about whether the florist arrives on time, finding the missing groomsmen or figuring out how to cut a very intense wedding cake. That’s what we are for! We are there to deal with any and every problem that comes up without having you worry or even know about it. 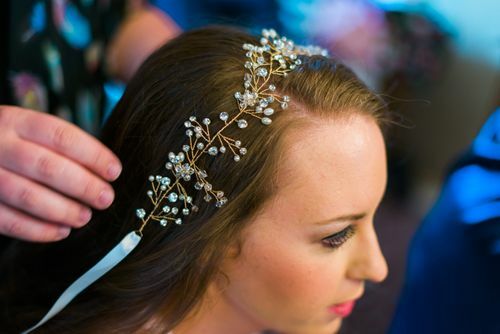 Choosing a wedding hairstyle is probably one of the most difficult decisions for a bride. I had a hard time with choosing a wedding hairstyle and even second-guessed myself after the wedding. I didn’t know if I should have an up-do or have my hair down. Eventually I chose an up-do. My wedding day was a little windy so I wasn’t sure how my hair would look in the photos. Once I got the photos back, I was relieved that my hair looked good at least in most of the photos. I would suggest having your photographer take photos of you from several different angles. If you have an up-do, this is especially important because your hair may look better from a different angle than from straight on. Ask your wedding planner or a trusted friend or family member for suggestions for a good wedding hairstylist. Always do a trial run with your hair and makeup before the wedding. Remember that your opinion is the most important, and that your wedding day is a time to show your personality. Difference between wedding coordinators and planners? Should you hire a wedding planner or a wedding coordinator and what is the difference? Your wedding is one of the most important days of your life!! You want the day to be perfect, you want your family and friends to enjoy the day, and you want to enjoy the day. Thus you are thinking of hiring a Wedding Coordinator or Wedding Planner. But how do you know if you need a Coordinator or Planner. Below you will find a brief description of a wedding coordinator and a wedding planer. We recently planned an adorable first birthday party inspired by Mommy Blogger, Emily Klaparda. 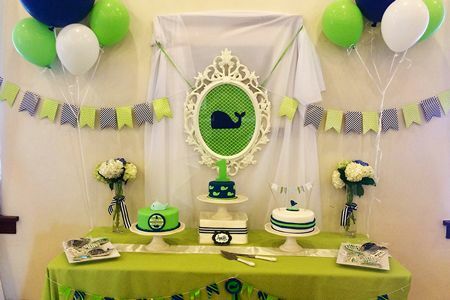 The bright blue and green color scheme set the mood for a day of fun, and the mini cake was perfect for the baby to dive into. Stay tuned for more event recaps throughout the summer!